...Trump’s attacks on Fox have widened the chasm between the network’s opinion hosts and the news division, which have been fighting a cold civil war since Roger Ailes was ousted in July 2016. Fox journalists, bristling at being branded an arm of the Trump White House, are lobbying Fox News C.E.O. Suzanne Scott and President Jay Wallace to rein in Fox & Friends, Sean Hannity, Lou Dobbs and Pirro. “Reporters are telling management that we’re being defined by the worst people on our air,” a frustrated senior Fox staffer told me. 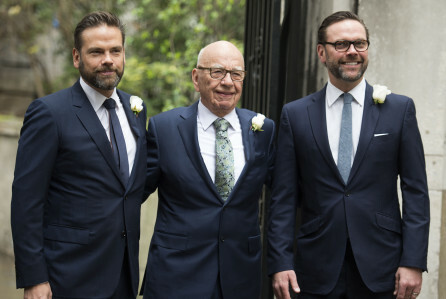 Fox’s opinion hosts, meanwhile, have made the case that Fox’s prime-time lineup not only reflects the audience’s worldview, but is responsible for the majority of the network’s advertising revenue. “We make the money,” an anchor close to Hannity told me. I suspect that's right. Their audience is so tied into Trump at this point that they really can't extricate themselves. But a sale ... now that could change everything. But this story makes me anticipate a new season of "Succession."